Goin' for a bit of a storm trooper look huh? I'd call that progress Cale. I guess it could be called that. At first I thought the grille would look pretty bad as I'm not a fan of that type of grille. But ended up looking pretty good man! Keep up the mods, look forward to seeing your ride out there. Funny that you mention the retrofit. That's probably the next thing I'll do to the car cosmetic wise. The retrofit source has the Bi-xenon Morimoto Mini Stage III kit (H1) that I've been eyeing for a long time. I just need to go to the local junk yard and see if I can find a pair of headlights that I can use as I don't want to wreck the stock ones trying to do the retrofit myself. Also there's a guy selling his headlights that looks exactly like the picture you posted for $450 (seriously thinking about picking that up too instead of doing the work myself). Thanks man. With the Uprev tune I can have up to four maps and all I need is to switch through them using the cruise control buttons. I'll have one map for a conservative tune, one for full on racing, one for valet, and another one for normal driving. 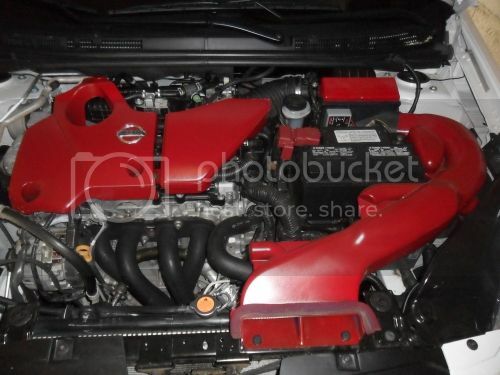 Next plan for the car right now is to get the SRI that my wife owes me from our past bet that I won, then after that just cosmetic stuff here and there (no rice lol) and finally get my exhaust to sound better and not ricey. 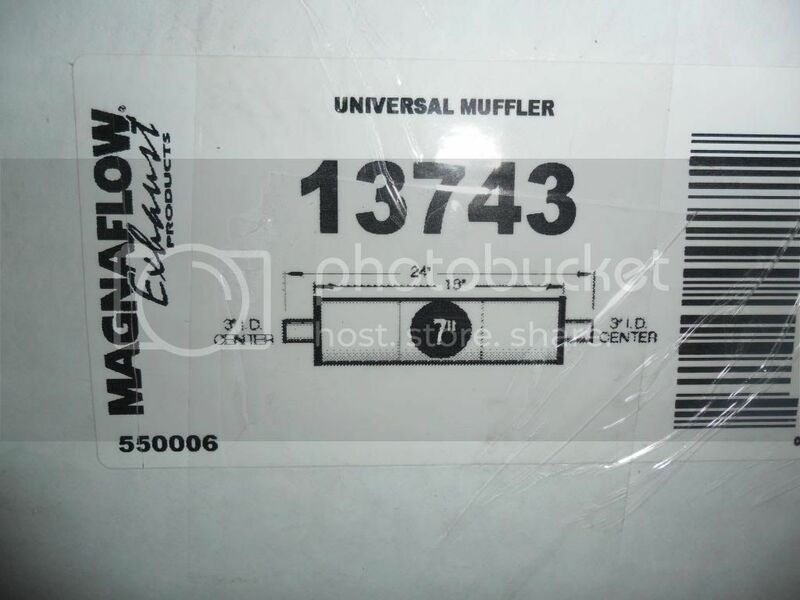 I'm waiting for the Magnaflow muffler I ordered yesterday and when it gets here I'll get my dad-in-law to weld it for me. If that works then I might not need another resonator. Regarding the retrofit, I have a tester MH1 v6 as well as a tester FXR v3 with the 3" lens - if you want to find 1 spare headlight, even damaged, I can give you a hand deciding what to go with re: product wise. Mini's are easy, but that housing looks a perfect shroud will need some experimenting.. Drop me a PM if you want to know a little more about your options and how I can help ya. Will do for sure once I get a pair of headlights to play around with, thanks. I'd be interested in hearing this thing, the 3" you have on there now is brutal loud - you've passed me a few times.. Do you have the option to put a silencer in the tip? 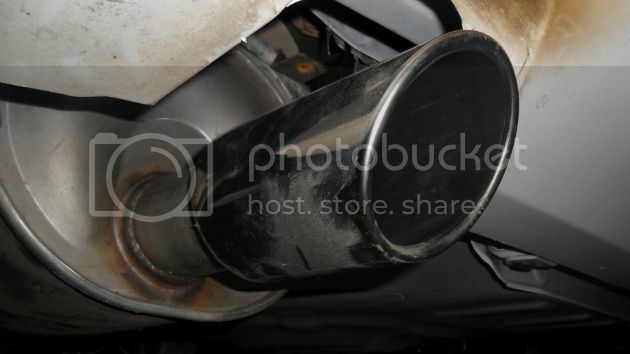 I've got a feeling the muffler you just picked up will still be really obnoxious.. I hear you man, the smallest things make the biggest difference in exhausts when you're naturally aspirated - like having a slightly short exhaust suuuuuuuucks.. Turn downs help, resonators etc... It's nuts. Everyone knows the concept of trial and error, and my little experiment with the muffler swap didn't go according to plan. She is a little bit more quieter during idle, unfortunately the rasp has increased significantly under WOT and I can only drive her around 2300rpm. Anything higher and she starts sounding like a tin can trying to explode. So, will be swapping my stock exhaust back until I can figure out what other brand I can try. I will for sure go with 2.5" pipping this time with probably no smaller than a 22" resonator to get rid of the rasp associated with running a cat-less set-up. FML. On a small N/A motor like that, 2.25" would be lots - with a resonator and a decent muffler. 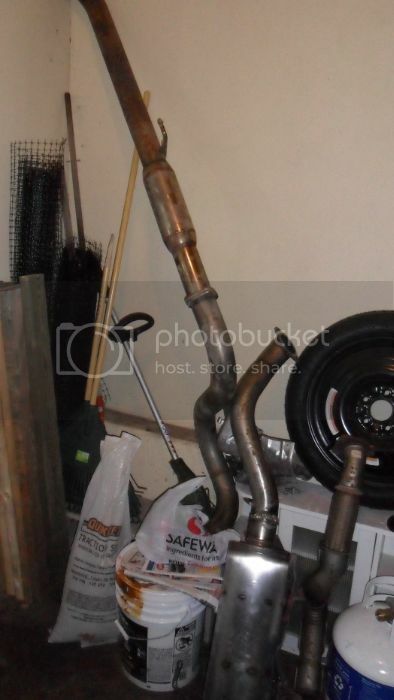 A cat will keep it quieter as well.. Realistically the stock exhaust is probably plenty for that motor and you wont see much bigger gains out of larger piping until you start doing way more motor work. I agree. I'm looking in the BRM cat-back. 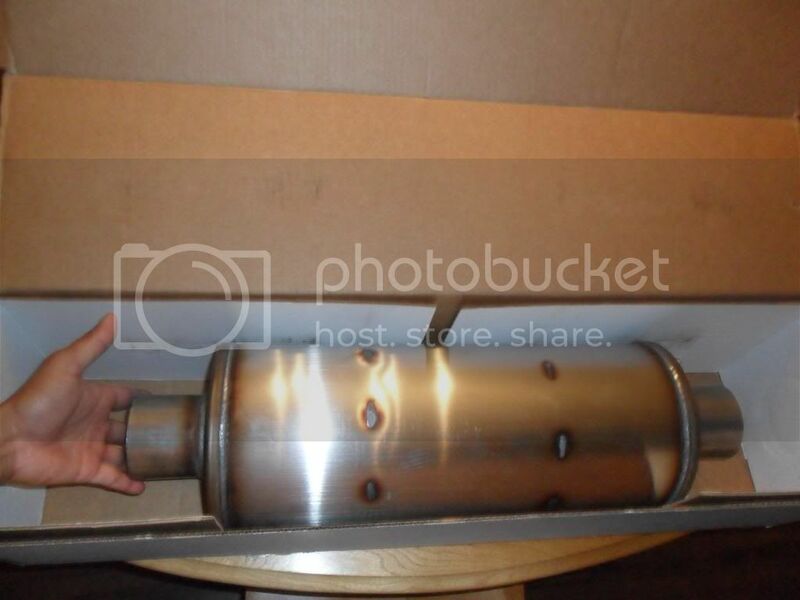 Stainless steel with 22" resonator and a Magnaflow muffler. I'll rock the stock ones (2.25") for now until I turbo it in a few years. Now the car is a lot quieter and doesn't give me a headache. I will get the BRM exhaust eventually, but for now I'll stick with this one. 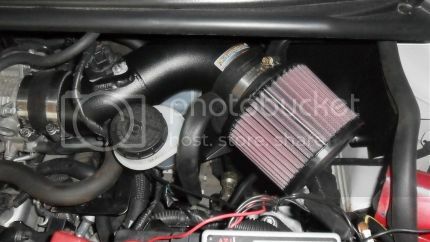 And I also installed the K&N Short Ram Intake (finally). 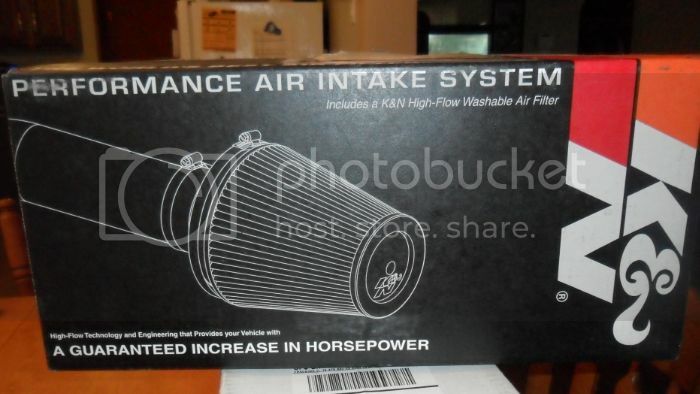 Sounds better than stock for sure.